Pinterest is one of my favorite social media sites. I love using it to create inspiration boards for my Ally Borrowed Blue followers! Click here for the whole board! I recently received a message from Tumblr user chaobabylinda asking me for examples of paper flower centerpieces or bouquets. This trend of “anything but flowers” has been growing like weeds, and is so incredibly popular with the DIY bride. Aren’t these little poms so dreamy and vintage? They are so incredibly easy to make too! All you need are some colorful cupcake liners, pins, and a styrofoam ball! Simply follow this tutorial from Kara’s Party Ideas and whip these little babies up at your next celebration! These little bouquets are just the cutest! And the best part? They can be tailored to match any color scheme! Put your button flowers in some white vintage milkglass vases and doll them up with some pretty ribbon! You can purchase these adorable bouquets on Etsy through KadyHope. If you’re planning a holiday celebration, consider this take on the button centerpieces. Pin buttons to styrofoam trees and place them on a pretty pedestal! Want a way to add color to an otherwise neutral table spread? 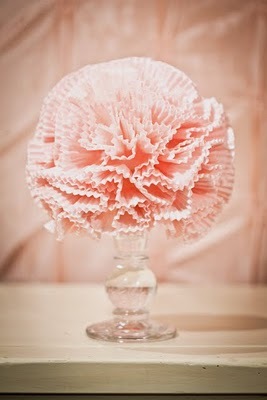 Try adding one of these big, beautiful paper flowers to your table runner! Click here for the whole tutorial from La Belle Bride! Want more ideas on “Anything but Flower” centerpieces? 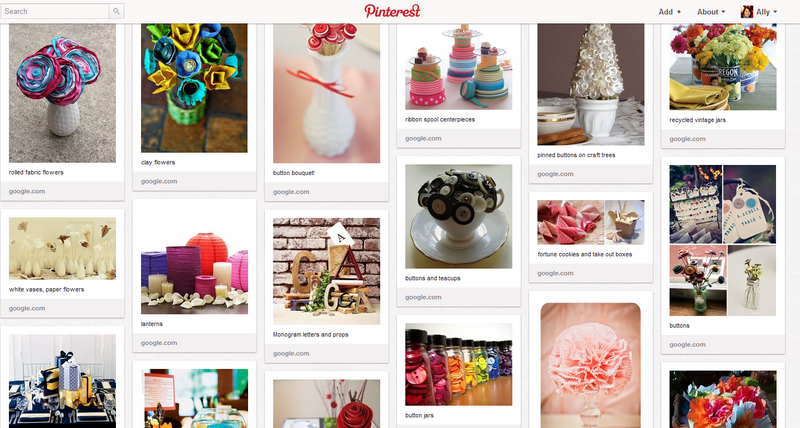 View my whole Pinterest board! See something you liked? Leave me a comment! I’d love to hear from you!